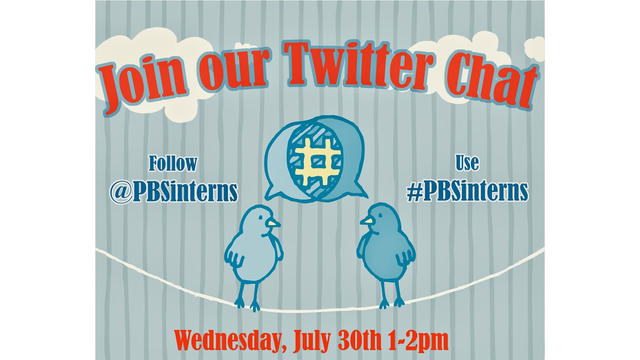 The PBS interns will host a Twitter chat this Wednesday from 1-2pm EST. Join us as we talk about our experiences working at PBS, as well as answer any questions you may have. This chat is open to everyone, so share this with the rest of your station. We would love to chat with you and your interns! 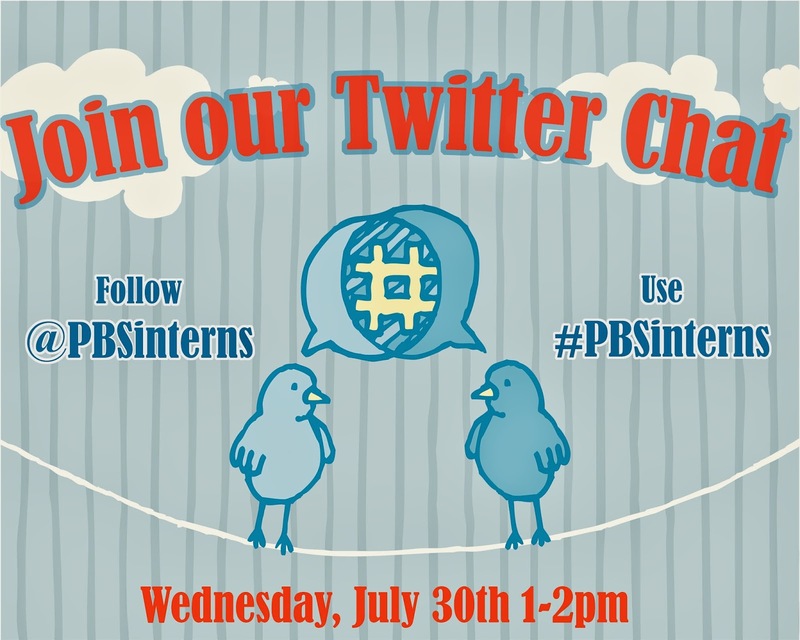 Use the hashtag #PBSinterns and follow @PBSinterns on twitter to join the conversation. If you have any questions or topics you would like to discuss for the twitter chat, tweet them at the PBS interns account.